Treasure hunting at Albur Church? 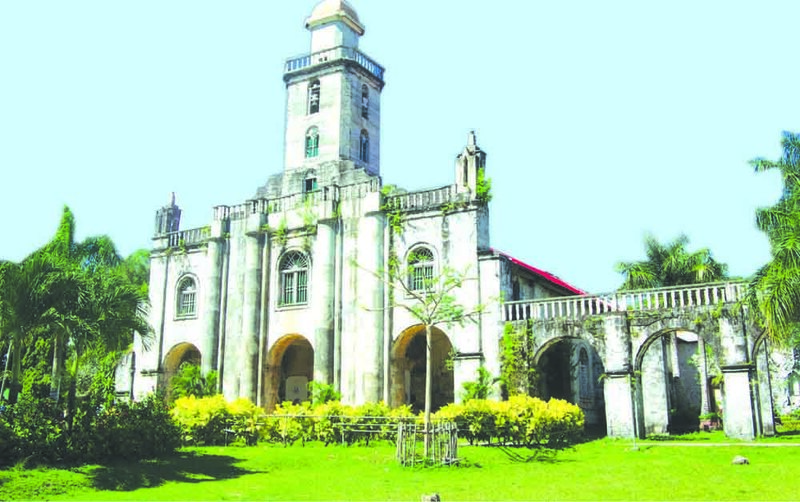 Tales of legendary lost treasures buried deep beneath Spanish era churches has startled the fertile imagination of Boholanos after rumors already heard by mouth was confirmed by two eyewitnesses who were present when the alleged treasure, stuffed inside a sack was carted away by a foreign national as it was brought out from the church. 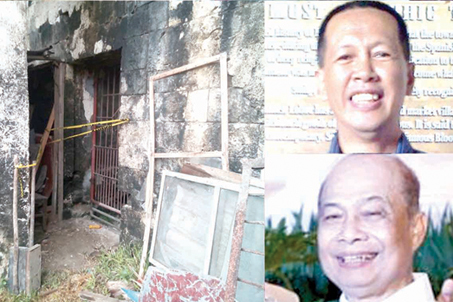 The titillating story of a â€œ1,000 kilogram gold bullionâ€ find by a â€œvillage idiotâ€ who drove away carting the treasure in full view of the police station and city hall,Â was reported by the Philippine Daily Inquirer (PDI) in the paperâ€™s on-line breaking news section on September 19, 2016.
lburquerque parish priest, Fr. Andres â€œAndyâ€ Ayco, in an interview with theÂ ChronicleÂ did not confirm the veracity of the alleged discovery but acknowledged that unauthorized diggings inside the convent and chisel marks were found on the walls near one of the altar pieces (retablos) inside the church. The diggings in the rectory was reported to the police by Ayco on September 9, 2016 after Glen Waminal, carpenter and electrician of the church reported diggings inside an empty room of the lower convent. The reported excavations was confirmed by the police who measured the newly dug holes 1m x 1m in diameter. Engr. Ryan Icay, of 401 Development and Construction Corporation, the restoration contractor of the church denied their involvement of the diggings in the convent and informed Ayco that the newly dug holes were not part of the program of works of the convent. The chiseled marks found by parishioners in a wall beside the retablo or altar piece inside the church on September 10, 2016 pushed Ayco to order the stoppage of all activities in the convent to prevent further destruction of the church property. Ayco also told the police that an unidentified white male foreign national sporting long hair â€œrepeatedly entered the convent without their consent and permission before the discovery of the diggings in the convent. The â€œunidentified white male foreign national sporting long hairâ€ turned out to be Daniel McNames, Managing Director of MicroRadian Engineering, whose firm was hired on a â€œpro bonoâ€ arrangement by former Mayor Efren Tungol whose services was carried over by the incumbent mayor, Elpren Tungol, the son of the former mayor. Mayor Tungol told theÂ Chronicle thatÂ a statement will be issued on the nature of the involvement of the LGU in the restoration activities of the Sta. Monica Church and Rectory. McManus, in an exclusive interview with theÂ ChronicleÂ on TuesdayÂ laughed off his involvement in the carting away of the 1,000 kilogram gold bullion as so hilarious that he added a footnote in his report to Tungol on September 14, 2016.
â€œCan you imagine a 64 year old guy straining with all his might lugging 1,000 kilograms of gold bullion which is nearly 20 bags of rice of 50 kilos?â€. â€œWhat they thought were gold bullions was an 18th century tree stump, by my own reckoning, that I uprooted in the spot where we were digging and took it as part of my interest as a geologist, added McNames. According to McNames, he hired two laborers to find the entrance leading to a catacomb or underground cemetery. Long time residents in Alburquerque claimed that they personally entered the catacomb through a stairwell in the rectory storage room and pointed at a crumbling floor as the spot where they made their entry into the underground cemetery, according to McNames. Together with the two laborers, they started their exploration at 9:30 and was completed at 3PM where two pits were dug and no evidence of a prior entrance to the catacombs was found, according to McNames. The uproar caused by the alleged treasure hunting led Ayco to vacate his position as parish priest for health reasons as his personal physician advised him to avoid stressful conditions. According to Ayco in an interview with theÂ ChronicleÂ thatÂ Fr, Millan Ted Torralba will take his place together with Fr. Justino â€œLoloyâ€ Estoque, Jr. as his administrator.